New for 2010 is the PowerBass Atom line up of amplifiers. Built on a compact footprint these amplifiers are up to 45% smaller when compared to a conventional amplifier with the same power output. An ultra-efficient design, heavy duty double sided PC board and surface mount components result in a compact, low profile chassis with uncompromised sound. The ATM-330.2 (shown) delivers 75-watts into 2-channels at 4-ohm (150 watts/channel at 2-ohm) in a chassis that measures only 6.5” by 7.7” while standing just over 2” tall. 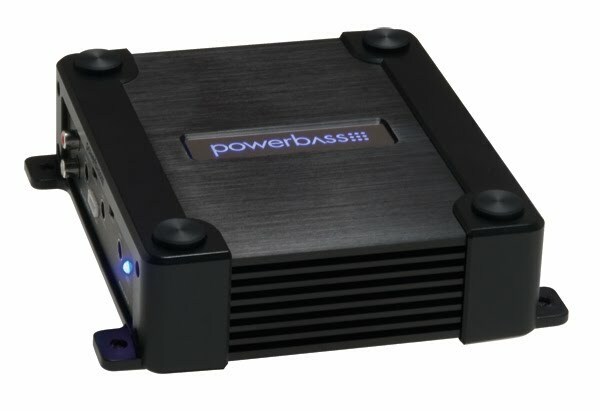 Somehow PowerBass managed to squeeze in a fully variable electronic crossover and a Bass EQ circuit that allows the user to give their bottom end an additional 6 or 12dB boost at 45Hz.